Dana has over 16 years' experience with DKP, and currently serves as DKP's Government Payer Liaison where she oversees research, analysis, and implications of state and federal health policy and regulatory initiatives from CMS, Medicare, and Medicaid - particularly those that affect access and reimbursement for branded specialty drugs and biologicals. She interacts directly with Medicare administrative contractor Medical Directors and policy staff and Medicaid medical policy and pharmacy staff regarding coverage, coding, payment and access issues for new and established products. Additionally, Dana coordinates execution for capture of payer-specific information in the proprietary DKP Compass™ database, which subsequently provides reporting of drug status and reimbursement trending for our clients. 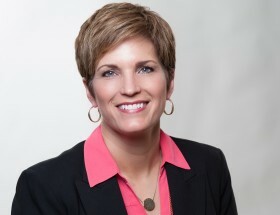 Dana’s expertise in payer knowledge was developed from in-depth work on Medicare and Medicaid, and working with Medicare medical directors, policy analysts, and state Medicaid agency medical directors, pharmacy administrators, and policy staff to facilitate coverage of new FDA-approved physician injectable and self-administered drugs and biologics. Dana graduated Phi Beta Kappa from Indiana University with a Bachelor of Arts degree. She is also certified as a Managed Healthcare Professional (MHP®) through the Insurance Education Program at America’s Health Insurance Plans (AHIP). 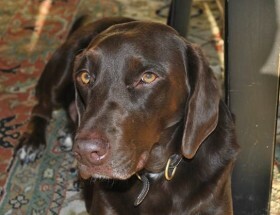 Tucker was a handsome chocolate lab/pointer mix rescue who lived with the Mennen family and his partner in crime, Lola (a Great Dane). One of his unique features was the white, 5-pointed star on his chest. Tucker loved ice cream, going for walks and rides in the car, chasing cats and eating flies, and hiking on trails. He was deemed “The Best Cuddler in the World” by his family and spent most of his days in his mom Dana’s office waiting for the afternoon sunbeam to show up so he could bask in it. Lola, a fawn colored Great Dane, was found abandoned and emaciated. 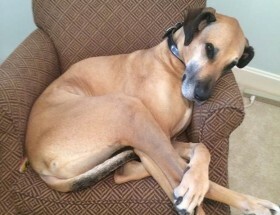 She was taken in by Kentucky Great Dane Rescue and found her new home with the Mennen family about a year ago. She quickly gained weight and is a happy, healthy, and loyal girl. She is very loving, affectionate and trusting and has no idea that she’s not a lap dog, spending most days curled up in a small chair in her mom’s office. When she’s not sleeping, she is sneaking in naps on the couch or counter surfing for goodies.